I was at the park a few years ago with my father. The benches were painted with creative designs and colors. He saw a painting that reminded him of an old song entitled “Strange Fruit.” He told me a little of the story behind the song and how this one simple song was such a powerful protest against what had been happening in the south years ago. So I decided to do some research on this song and look it up for myself. What I found was amazing and demonstrates the power of ripple effects. 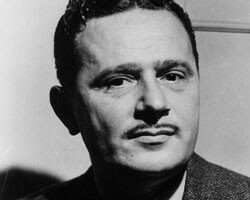 “Strange Fruit'” started out as a poem written by Abel Meeropol, a Jewish high-school teacher from the Bronx, about the lynching of two black men in the south. He was appalled by what happened and expressed his rage and sadness in a poem. He published under a pen name, Lewis Allan, which he had gotten from his two children who he had lost in infancy. He tried to find someone who could put music to his poem, but finally decided to write his own music to it. But this man, Abel, was more than just a thoughtful poet. He lived what he wrote about. His life was a passionate display of justice, love and kindness to all humanity. For example, he and his wife adopted Julius and Ethel Rosenberg’s two sons, Micheal and Robert, after their parents’ executions. Julius and Ethel Rosenberg were American communists who, in 1953, were convicted and executed for apparently committing espionage. The conviction was based on an alleged conspiracy to commit espionage by apparently passing information about the atomic bomb to the Soviet Union. They were the first Americans ever executed for espionage, and their execution was, and still is, controversial. After their parent’s death, Micheal and Robert needed a home, especially with the hatred and hysteria surrounding their parent’s life and death. So Abel Meeropol and his wife adopted them, and the boys took on their surname to protect their identity. The song, “Strange Fruit”, became a plea for civil rights and its haunting tone and lyrics put emotion into the injustices that were being committed. It became a song that motivated many people into action. The people who made this song most popular were singers Billie Holiday and Josh White. 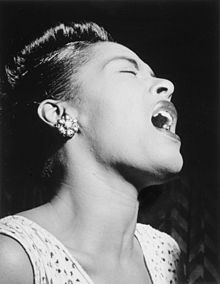 Billie Holiday was introduced to the song and made it a regular at live performances. Billie Holiday approached her record company, Columbia, about getting it recorded, but they feared repercussions, especially from people in the south. Finally, after a lot of controversy and people afraid to help her record it, she was able to get the recording finished, and it became one of her highest-selling records. 1999, Time magazine called it the song of the century. 2002, the Library of Congress honored the song as one of 50 recordings chosen that year to be added to the National Recording Registry. The Atlanta Journal-Constitution listed the song as Number One on “100 Songs of the South”. Bob Dillon cited “Strange Fruit” as an influence in the 2005 documentary No Direction Home. Serbian rock musician, journalist and writer Dejan Cukic wrote about “Strange Fruit” as among 45 songs that changed the history of popular music in his book 45 obrtaja: Priče o pesmama. 2010, the New Statesman listed it as one of the “Top 20 Political Songs”. After researching the song’s history and hearing the recording of it, it’s astounding – all the pieces that went into play for this poem and song. It was a great reminder to me that justice is waiting to be celebrated, and sometimes the best places to promote it are in what we naturally do well. For it is in these places that it is easier to resonate with all our hearts and we feel an “amen” to what our inner soul knows is right. Also, the story of Abel and his life of love, mercy and justice to others made his poem that much more powerful. Because actions really do make our words legit. And finally, sometimes what is most worth fighting for will scare people, especially those who’s identity is wrapped up in what other people think. But what is most worth fighting for will always be worth the fight in the end. And ultimately, the world is waiting for those who will have the courage to do the right thing – because it is then that it gives weaker ones the courage to stand up for the right thing, too. May we keep fighting against apathy, injustice and hatred. May we all realize that the truly strange thing in this world is to hate another human being. We all are sacred. We are all made of the same stuff – therefore, when I hate another person, I am also hating myself. Let us keep fighting for Love, no matter the cost. So sad, so disturbing, so moving, so wrong. Things like these make me feel ashamed to be human sometimes. There are still atrocities happening in this world, making this message as relevant today as it was when the poem and song were written, finally recorded, and finally heard. I’m loving following your blog entries!! This one was especially fascinating. Great documentation for an upcoming book publication, I’d say. Keep up the good work. P.S. Commenting on the blog sure is easier than on face book!!! What a moving message! Thank you for your words here, they are like Good Fruit. You’ve compelled me to be more, to be new, to be love every day and be courageous.